Having a friend like you is my favorite treat of all! 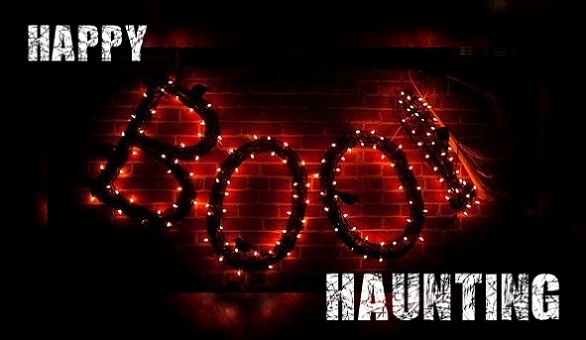 I wish you a boo-tiful Halloween night! When scary things are seen. With trick-and-treaters don't be mean! Beware the moon and mournful howl! For Halloween's a time to believe! You know that it's time for Halloween! Have an exciting, fun and candy filled Halloween night! Shhh... don't scream... It's Halloween! Wishing you all a frightfully spooky nigh! Hope this Halloween brings magic and fun! I know you love the treats but you love the tricks much better! Enjoy this Halloween! Hope this holiday leaves you spinning with excitement! Happy haunting! Have a spook-tacular, be-witching and fang-tastic Halloween night! Is filled with mysteries, fun and delight! Have a creepy Halloween filled with lots of treats and lots of fun. Hope you have a spirited Halloween. Fly high tonight! Keeping you safe and free from harm! Cheers to a Happy Hallo-wine! Hoping your Halloween is filled with more yummy treats than tricks. Have a monstrously good time and enjoy those treats!